This unique sweet is still regarded as the national sweet in India. 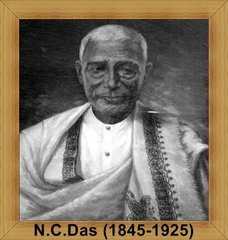 It had been the Identity for not only the Bengali, but for all the Indians to the whole world over past a Century and an half. 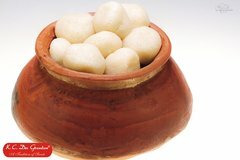 Its simple, its delicious, its irresistible, its nutritious, rather its just an aw-sum creation in Indian-confectionery. 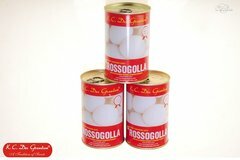 Rossogolla was first ever invented by Nobin Chandra Das (Nobin Moira) of Baghbazar, Kolkata in the year 1868. 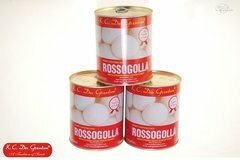 His only son, K. C. Das[1868-1934] (Krishna Chandra Das) invented "Rossomalai or Rasmalai" and introduced "Vacuum-sealed Canned Rossogolla".